You never know where you will end up when you start researching some aspect of Chicago history, but it will certainly surprise you. This phenomenon happened to me when I was researching James Carney, a possible early Chicago (1820s-50s) Irish ancestor. I saw a listing in the 1839 ChicagoDirectory for James Carney, grocery and provision store. I wanted to find out what early grocery stores carried and what determined their choice of inventory. In order to understand what kind of goods a merchant in early Chicago offered, one must first understand what his customers needed and wanted. And who were these customers? The Indians, living in the northeastern part of what was to become America and Canada, had long been trading furs and other items with each other. 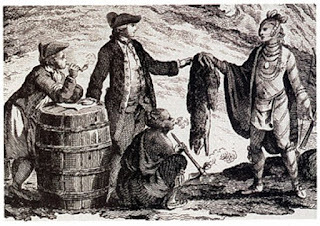 The French were the first Europeans to enter the fur trade in the New World in the early 16th century and the Indians became their trading partners. 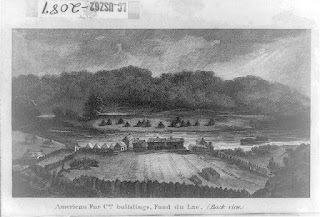 The French traders realized that in order to gain access to the knowledge and the experience of the natives and to gain access to the fruit of their hunting grounds, they had to earn their trust. Part of their outreach was for some of them to join the Native American community through marriage. Another reason for marrying into the Native American culture was that Indian women were used to life on the frontier unlike European women.1 When the English came into the fur trade after the French, some English traders also married Indian wives for the same reasons. 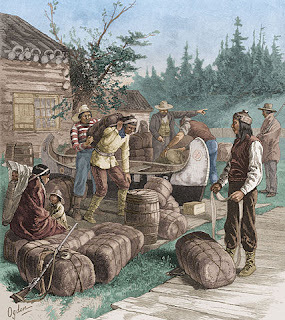 Since there were few Europeans other than traders and a native population eager to trade in northeastern Illinois and eastern Canada, the Indians formed the customer base of early trading posts and small grocery and provision stores. It was the traders who started these stores as they knew the Indian through business and social connections. Most likely James Carney began his grocery with the Indian trade. I had now identified the owner of the large grocery store. I still had another challenge – locating the original source of the inventory list. 1827, Library of Congress Washington, D.C. But Hurlbut gave no specific source within the American Fur Company documents. The closest that I could get to the actual source was an inventory of these records written for the Chicago Historical Museum by Robert D. Kozlow, American Fur Company records, 1816-1947. A search was done for me in the records at the Chicago History Museum but nothing came up except a similar inventory from another trading post, Lac du Flambeau of the North West Company in Wisconsin. More on-site search of the records must be done. 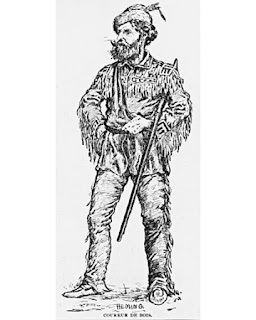 I have been very intrigued by the tastes of the Native American consumers at the early trading posts ever since I came upon the inventory for Robert Kinzie’s store in Chicago in 1833-34. Remember my ancestor James Carney had a grocery just a few years after (1839) in the same commercial area. From this research project to find the source of the inventory list, I learned how ethnocentrism can cloud even scholars’ eyes as they analyze records and draw conclusions about different cultures. I was fortunate to find Dr. Rich’s study on how the Native American culture differed from the European and how this influenced the trade between them. I also learned how much the fur trade played in the economic beginnings of northeastern Illinois (including Chicago,) northwestern Indiana and Canada. 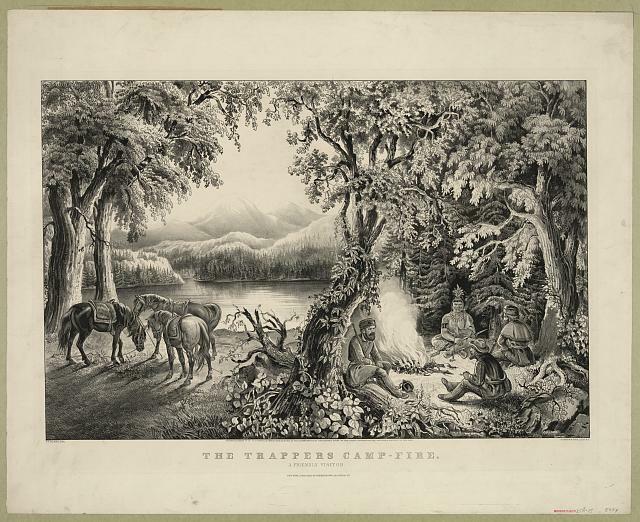 Before the railroads, the meat packing industry and the factories built the Chicago we know today, there was the fur trade that laid the foundation for the future economic blossoming of the city. Thirdly, I learned about a pitfall of research and citation. It is very important for a writer to include the original source of a record that he/she cites. In his 1881 publication, Henry Hurlbut gave the original source of the Chicago store inventory as part of the American Fur Company accounts. But researchers that came after him did not include the provenance of the inventory in their publications. 2 Solon Robinson, Solon Robinson, Pioneer and Agriculturalist; Selected Writings, ed. By H.A. Kellar, 2 vols. (Indiana Historical Bureau, 1936) quoted in Alfred H. Meyer, “Circulation and Settlement Patterns of the Calumet Region of Northwest Indiana and Northeast Illinois: The Second Stage of Occupance – Pioneer Settler and Subsistence Economy, 1830-1850.” Annals of the Association of Geographers 46 (3): 312-356, 1956, p. 349. 3 Alfred H. Meyer, “Circulation and Settlement Patterns of the Calumet Region of Northwest Indiana and Northeast Illinois: The Second Stage of Occupance – Pioneer Settler and Subsistence Economy, 1830-1850.” Annals of the Association of Geographers 46 (3): 312-356, 1956, p. 349. 4Bruce M. White, “Grand Portage National Monument Historic Documents Study,” (Turnstone Historical Research, March, 2004), pgs. 83-101. 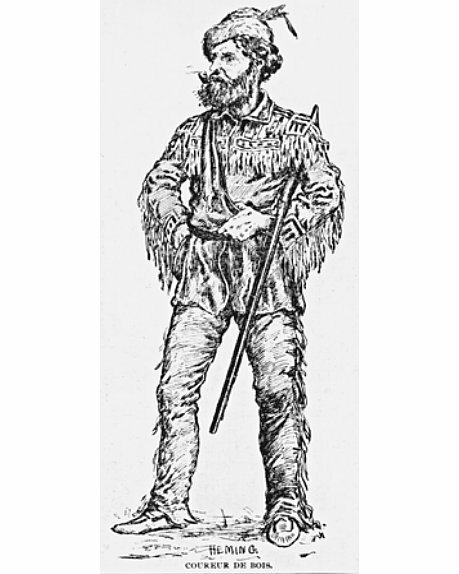 11Carolyn Podruchny, Making the Voyageur World: Travelers and Traders in the North American Fur Trade, (Lincoln, NE, University of NE Press, 2006), p. 124. 12Dena Evelyn Shapiro, dissertation “Indian Tribes and Trails of the Chicago Region: A Preliminary Study of the Influence of the Indian on Early White Settlement” (Master of Arts dissertation, The University of Chicago, March, 1929), p. 53. 13Charles Cleaver, Early Chicago Reminiscences, 1833 (Chicago, Fergus Printing Company, 1882) p. 27. 14Henry Higgins Hurlbut, Chicago Antiquities: comprising original items and relations, letters, extracts, and notes, pertaining to early Chicago (Chicago, IL, privately printed, 1881) p. 36. 15E.E. Rich, “Trade Habits and Economic Motivation Among the Indians of North America” The Canadian Journal of Economics and Political Science, Vol. 26, No. 1 (Feb., 1960), pp. 35-53 (Ottawa, ON, Canadian Economics Association) p. 45. Thank you so much! Extremely useful.